Limited Offer: Book special promotion packages through Klook and enjoy a Buy 2 Get 1 Free offer, only available from 14 Apr to 6 May! Klook Exclusive: Avoid the long queues and make the most out of your exclusive skip-the-line lane access when redeeming your ticket! Very convenient, able to skip the ticket line which made are travel smoother especially with kids. Enjoy this limited offer of buying 3 tickets for the price of 2! This promo is available for bookings with participation date between 14 Apr-30 Jun 2019. 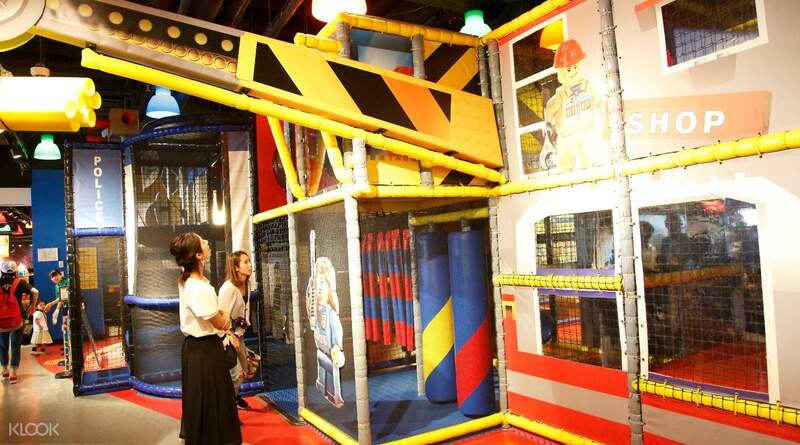 Treat your kids to a thrilling experience at LEGOLAND Discovery Center in Osaka. Upon arriving, have no worries when redeeming your ticket – simply go to the Klook exclusive skip-the-line lane and avoid the hassles of queuing! 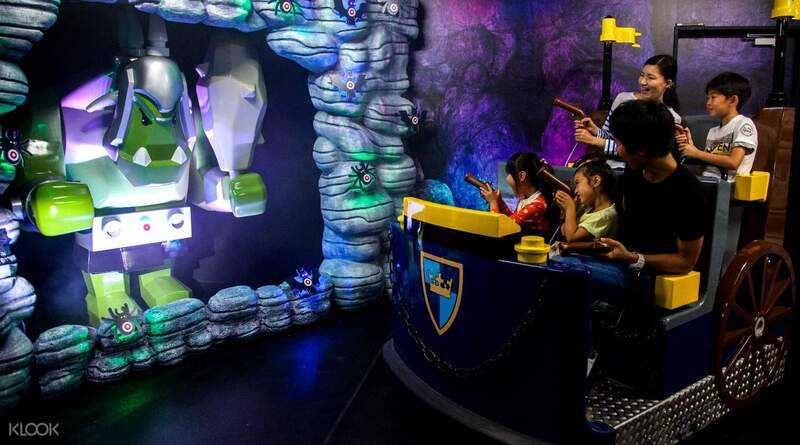 Filled with millions of famous toy bricks, the theme park is a land of creativity waiting to be discovered. You can easily spend the whole day here with your family and not even notice the time go by. There’s plenty to do at the park besides playing with LEGO blocks: go on a tour of the brick factory, watch a 4D movie or go in for a hands-on experience at a brick-making class — and more! The park is conveniently located just a five minute walk from a subway station so a visit to the park will not be a big detour from your sightseeing plans. Enjoy an exclusive skip-the-line access when redeeming your ticket by booking through Klook! Spent almost the entire day in this area. Adult and kids in the family are lego fans. 6year old boy got a free lego figure after he completed all the stamps required in the stamp activity book. Adult and kids enjoyed the rides inside too. Spent almost the entire day in this area. Adult and kids in the family are lego fans. 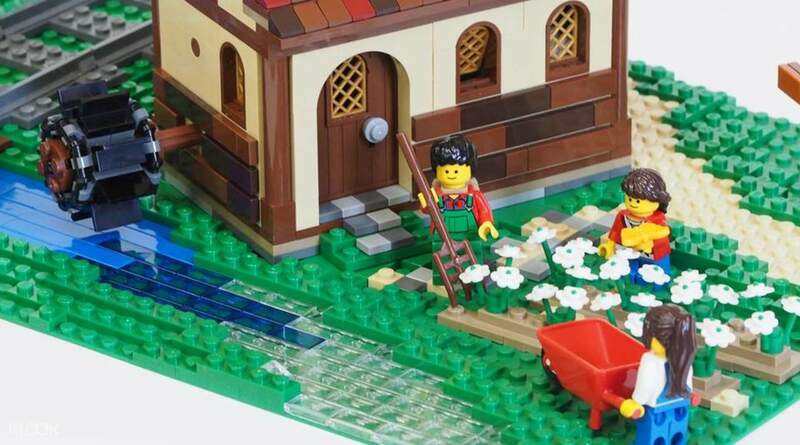 6year old boy got a free lego figure after he completed all the stamps required in the stamp activity book. Adult and kids enjoyed the rides inside too. Overall, a great deal and a good time. My 10 year old said he enjoyed it here and was able to let some energy out before heading to the aquarium. The location is ideal since it is next to the aquarium and in a nice indoor shopping area with lots of food choices. Overall, a great deal and a good time. My 10 year old said he enjoyed it here and was able to let some energy out before heading to the aquarium. The location is ideal since it is next to the aquarium and in a nice indoor shopping area with lots of food choices. Easy to use. I just show the QR code from my mobile and we are in! Nice cosy little place. A lot to keep the little ones occupied. A lot of shops and food places around. A short walk from the train station. Easy to find the place. An awesome activity for adults and kids. Be informed that there's no re-entry. So do your shopping and eating before or after the activity. There is a small cafe in legoland. A Turkish halal restaurant in the building too. We truly enjoyed our time there! Easy to use. I just show the QR code from my mobile and we are in! Nice cosy little place. A lot to keep the little ones occupied. A lot of shops and food places around. A short walk from the train station. Easy to find the place. An awesome activity for adults and kids. Be informed that there's no re-entry. So do your shopping and eating before or after the activity. There is a small cafe in legoland. A Turkish halal restaurant in the building too. We truly enjoyed our time there! 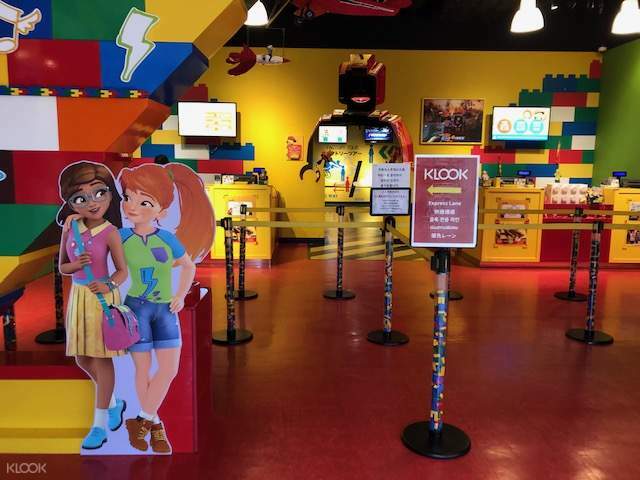 A mini Legoland, although there are a few rides to play, the activities would not take more than two hours to complete all. 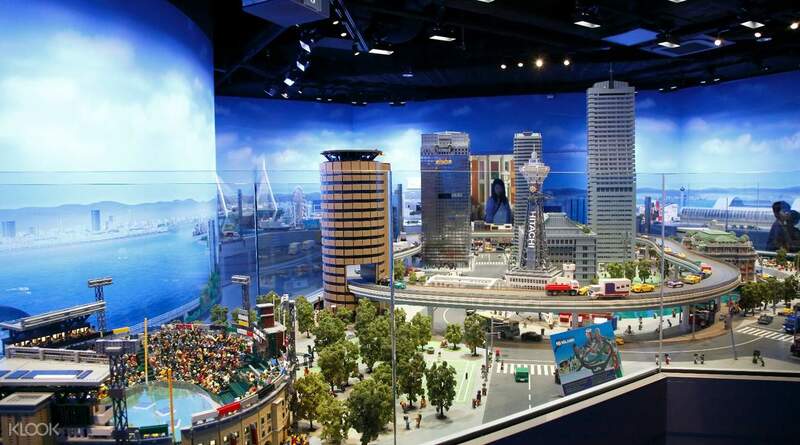 A mini Legoland, although there are a few rides to play, the activities would not take more than two hours to complete all. Hassle free. Just go straight to the on line ticketing counter to exchange for physical entrance ticket. Hassle free. Just go straight to the on line ticketing counter to exchange for physical entrance ticket. Must visit when your in Osaka especially if you guys love Lego. 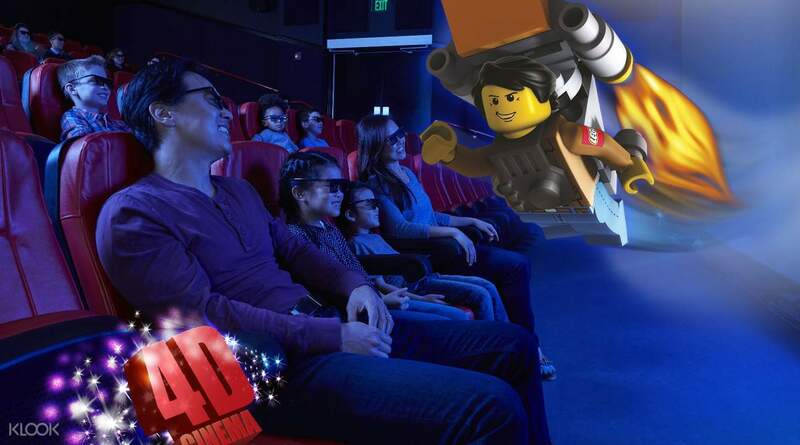 There are rides and 3D movie too. Must visit when your in Osaka especially if you guys love Lego. There are rides and 3D movie too. This is the great place for my kid who almost turns up 3 years old. Although the place is not that huge like USJ, there are two rides, one 4d cinema and maze. It would be better to go there in the late afternoon. Only 3-4 hour should be more than enough to enjoy the place. This is the great place for my kid who almost turns up 3 years old. Although the place is not that huge like USJ, there are two rides, one 4d cinema and maze. It would be better to go there in the late afternoon. Only 3-4 hour should be more than enough to enjoy the place. A small area to play and may get crowded at times. But it was so worth it for my five year old daughter. She had a blast exploring all areas. She love the Build and Test, Duplo, Merlin’s Apprentice and Miniland. There’s also a place to rest for parents at the Cafe and at the Train World. Do get the activity pack that’s only for ¥500, it comes with a lanyard too. Collect stamps and get a prize after. Highly recommended! A place that kids will surely love. A small area to play and may get crowded at times. But it was so worth it for my five year old daughter. She had a blast exploring all areas. She love the Build and Test, Duplo, Merlin’s Apprentice and Miniland. There’s also a place to rest for parents at the Cafe and at the Train World. Do get the activity pack that’s only for ¥500, it comes with a lanyard too. Collect stamps and get a prize after. Highly recommended! A place that kids will surely love.